Jackie Fo: Sparkles and Glitter: New Years Eve! While New Years Eve can definitely be overrated and crowded, it also has it perks. For example - for what other occasion can you wear an abundance of sparkles, glitter and sequins and no one blinks an eye? Yup - on New Years Eve, all things sparkly and bubbly rule, and I think that's sparkle-tastic. Put on your blinders, because I'm going to show you some blinging blanging sparkles for your New Years celebration. All images from the great Pinterest! 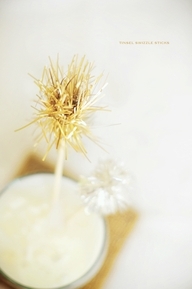 These drink stir sticks are made from tinsel garland...which as you know will be marked down to 75% off at the stores. Love these! 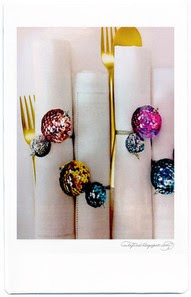 Loooove these napkin rings. Love. Amore. 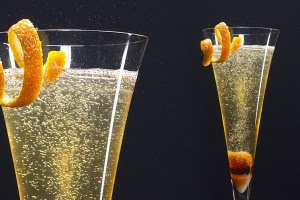 This beautiful cocktail is called a French 75. I love the bubbles. 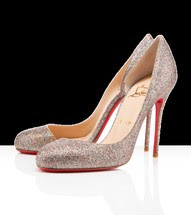 The sparkly Christian Louboutins are perfect if you have a lot of extra $$$ laying around. Seriously though, how gorge. I think I'll run out and buy me a pair (of sparkly knockoffs from Tarjay). I LOVE this gold glitter! Have you ever seen such a glittery marshmallow? 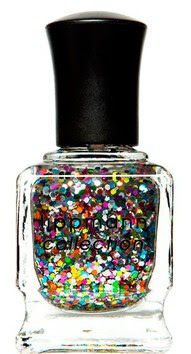 I'm seriously considering getting some uber-glittery nail polish for the occasion. Why not, right? I mean, this just looks like confetti in a bottle. Obsessed. 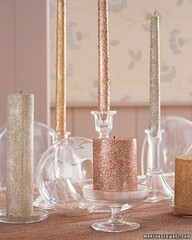 Glittery pillar and taper candles. 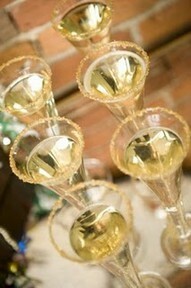 Rim your champagne glasses with sparkles! 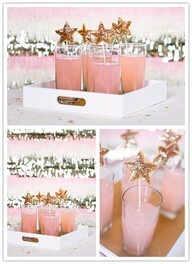 Love these starry stir sticks. 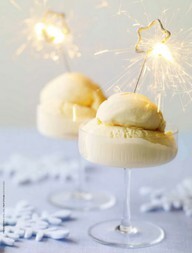 Ice cream with sparklers makes a spectacular photo! 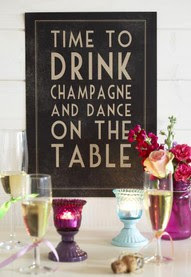 Hope your eve is filled with sparkles and cocktails and your 2012 is full of health and happiness.